Department of Clinical Pharmacy, J. S. S. Medical College Hospital, Mysore, India and Department of *Medicine, Holdsworth Memorial Hospital, Mysore, India. Toxic epidermal necrolysis (TEN) is a life-threatening cutaneous adverse drug reaction. TEN is known to occur with the fluoroquinolone class of antibiotics, but only four cases of sparfloxacin induced TEN have been reported to the WHO database. This is another case report of sparfloxacin induced TEN. TEN is known to occur with the fluoroquinolones. However, the incidence of sparfloxacin induced TEN is very low, with only four cases having been reported to the WHO database.1 We report here one more case. A 17-year-old boy with a three-day history of cough and fever was treated with sparfloxacin 400 mg on day one and 200 mg on the following two days. On day three of treatment the patient was hospitalized at our centre for an extensive blistering rash and involvement of the eyes, oral and nasal mucosa. He had greater than 60% cutaneous detachment and was diagnosed as drug induced toxic epidermal necrolysis (TEN). Except for electrolyte imbalance, all the hematological tests and liver and renal functions were within normal limits. chlorhexidine mouth wash. Oral prednisolone 40 mg o.d. was begun on the fifth day of admission and was continued until day 19, with constant monitoring of the patient's condition in an intensive care area. Based on culture sensitivity reports, he was treated with various injectible antibiotics during his hospital stay. These included amoxicillin + sulbactam 1.5 g b.i.d., ceftriaxone 1 g b.i.d., cefoperazone 1 g b.i.d. and gentamicin 120 mg o.d. on different days. During this period he was gradually improving, but on the day 22 of hospitalization, he died of suspected pulmonary emboli. The causality assessment of the reaction was `probable' by both the WHO probability scale and Naranjo's ADR probability scale. carbamazepine, non-steroidal anti-inflammatory drugs, antibacterials and barbiturates.3,4 Non-drug etiologies are uncommon but include viral, bacterial and fungal infections and neoplastic diseases.5 Early withdrawal of the causative drug with a half life less than 24 hours is associated with a better prognosis and a lower mortality.3 Sparfloxacin has a half life of 16 hrs. Prompt withdrawal of sparfloxacin in the case of TEN may decrease the mortality. Corticosteroids are used in the treatment of TEN in an attempt to impede the basic pathophysiology, by inhibiting antibody-dependent cytotoxicity. The use of corticosteroids in the management of TEN has fallen into disfavor because of an increased incidence of sepsis, a five-fold increase in the incidence of infection if used for more than 48 hours, a longer hospital stay and an increased mortality rate.5-8 Though intravenous immunoglobulin therapy is a promising experimental treatment,9,10 more trials are needed before it is adopted as the treatment of choice. The authors would like to thank the administrative staff, chief pharmacist, medical practitioners and nursing staff of Holdsworth Memorial Hospital, Mysore for their cooperation in this publication. We also extend our thanks to JSS Mahavidyapeeta and Principal, JSS College of Pharmacy, Mysore for their support. Personal communication with Erica Walette, Database services, Uppsala Monitoring Centre, Stora Torgets S _ 753 20 Uppsala, Sweden. Chan Hl, Stern RS, Arndt KA, Langlois J, et al. 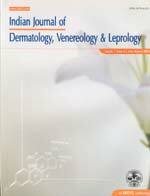 The incidence of erythema multiforme, Stevens-Johnson syndrome and toxic epidermal necrolysis. Arch Dermatol 1990;126:43-7. Garcia-Doval I, Lecleach L, Bocquet H, Otero XL, Roujeau JC. Toxic epidermal necrolysis and Stevens-Johnson syndrome: Does early withdrawal of causative drugs decrease the risk of death? Arch Dermatol 2000;136:323-7. Guillame JC, Roujeau JC, Revvuz J, et al. The culprit drugs in 87 cases of toxic epidermal necrolysis (Lyell syndrome). Arch Dermatol 1987;123:1160-70. Kalemen JJ III, Cioffi WG, McManus WF, Mason AD, et al. Burn center care for patients with toxic epidermal necrolysis. J Am Coll Surg 1995;180:273-8. Toxic epidermal necrolysis: A systemic and metabolic disorder best treated with standard treatment protocols in burn intensive care units without the prolonged use of corticosteroids (editorial). J Am Coll Surg 1995;180:340-2. Improving the outcome of patients with toxic epidermal necrolysis and Stevens-Johnson syndrome (Editorial). Arch Dermatol 2000;136:410-1. Halebian PH, Corder VJ, Madden MR, Finklestein JL, Shires GT. Improved burn center survival of patients with toxic epidermal necrolysis managed without corticosteroids. Ann Surg 1986;204:503-12. Viard I, Wehrli P, Bullani R, et al. Inhibition of toxic epidermal necrolysis by blockade of CD95 with human intravenous immunoglobulin. Science 1998;282:490-3. Magina S, Lisboa C, Goncalves E, et al. A case of toxic epidermal necrolysis treated with intravenous immunoglobulin. Br J Dermatol 2000;142:191-2.